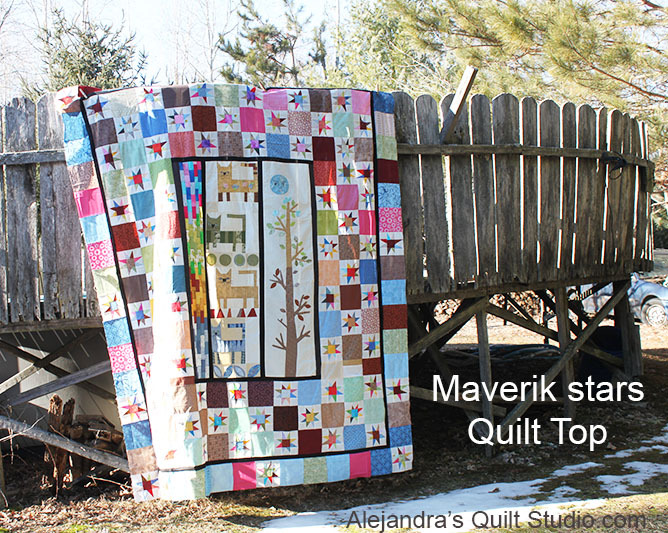 Welcome to “My Quilts” pages. 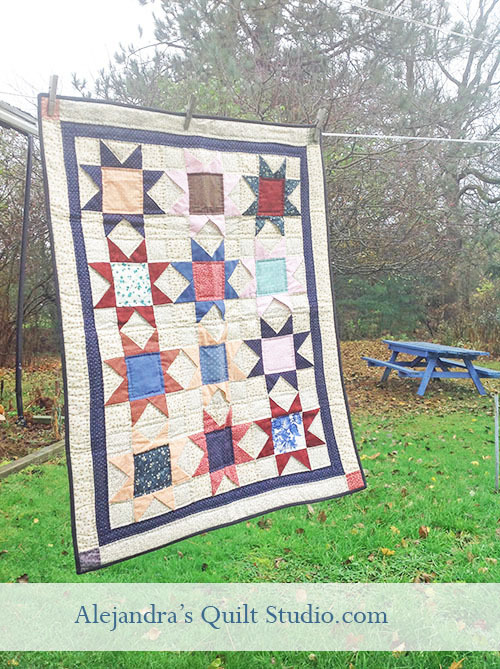 I have been quilting for some time (years), as a quilt is not made in one day, it can take me a few weeks, months and even years to finish one, when we talk about big quilts, small and mini quilts can take less time to finish. 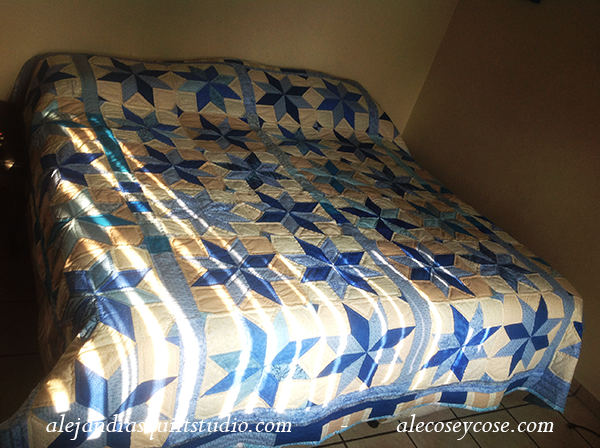 As I write this blog to share with you my work as a quilter, I think you would like to see some of my work. 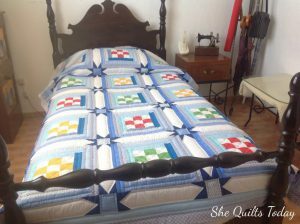 As I started to make quilts before the time of the internet, I didn’t keep photographs of my previous work, since I write a blog about my quilts and I should say this is not my first blog about my work as a quilter. 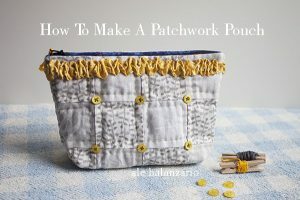 I have learn a little bit more about blogging and about how to run an online business on the internet, but I understand you might want to find some projects to make for free, and I love to share my work with you, some of my patterns are for free so you can make them too, and some will be for sale as I also need to pay some bills every month. 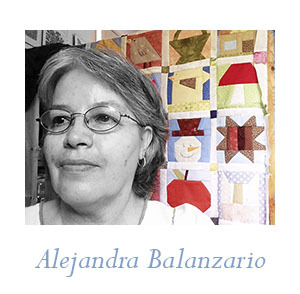 I hope you enjoy this page where you can see some of my latest work, if you have any question about it, you can send me a message on the contact form or on my Facebook page Alejandra’s Quilt Page. 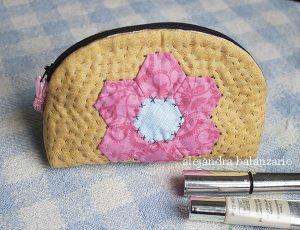 You can read the post to learn how to make the hexies flowers here. 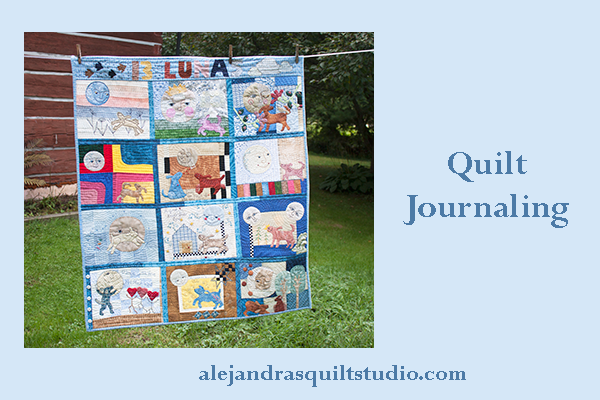 I began to work this journal quilt a few years ago, it was an UFO for a few years, in 2017 I started to work again on it, now it’s a finished quilt and belongs to my private collection. 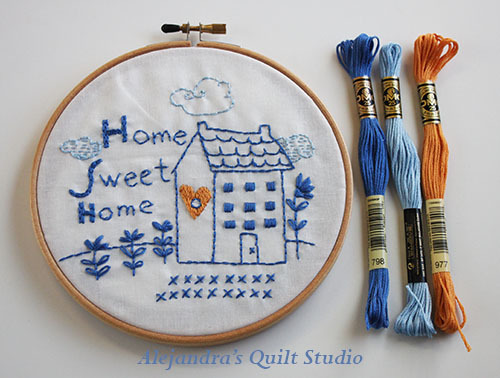 To read more about it you can go here . 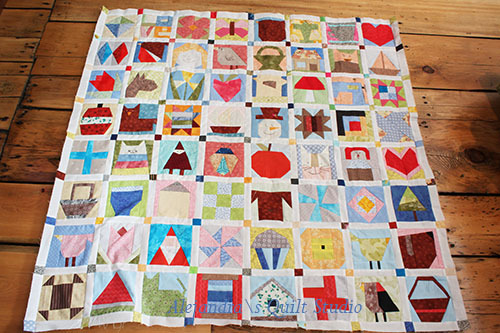 Hand quilting is almost finished, I’m working now on the bias. 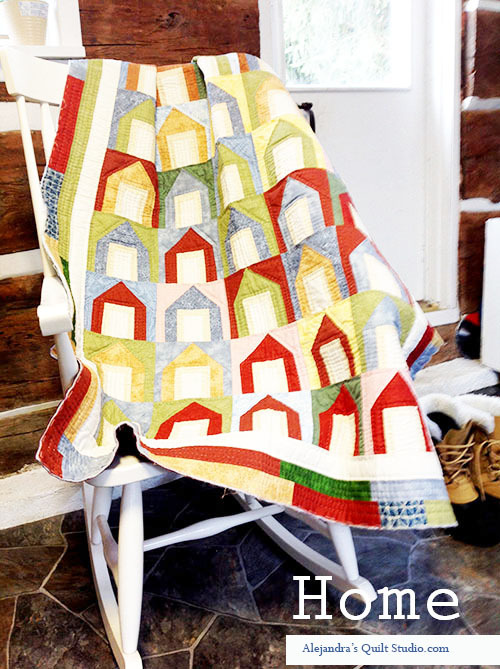 Nine Patch and Log Cabin quilt. 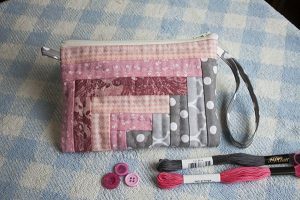 Each block is 5 x 5 inches, every block is different, you can find some free blocks pattern to make on the blog. 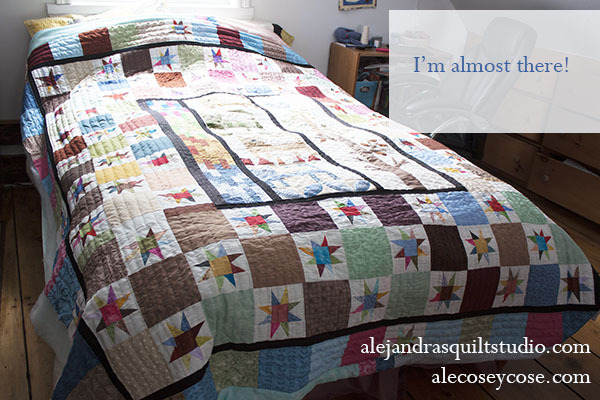 This is a small quilt, it is made with four log cabin blocks, four stars and six mermaids, hand quilted with embroidery. 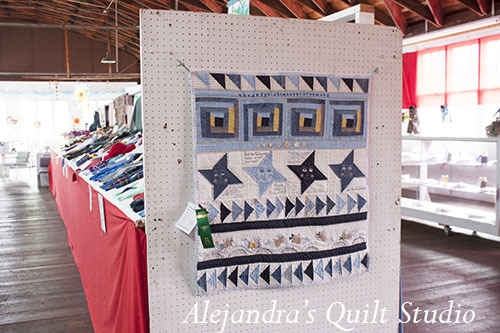 A small quilt made with stars blocks. 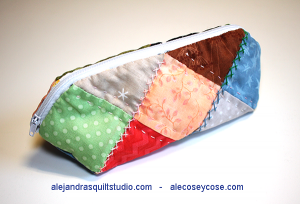 This mini quilt was made with patchwork background with four tulips applique, hand quilted with some embroidery. 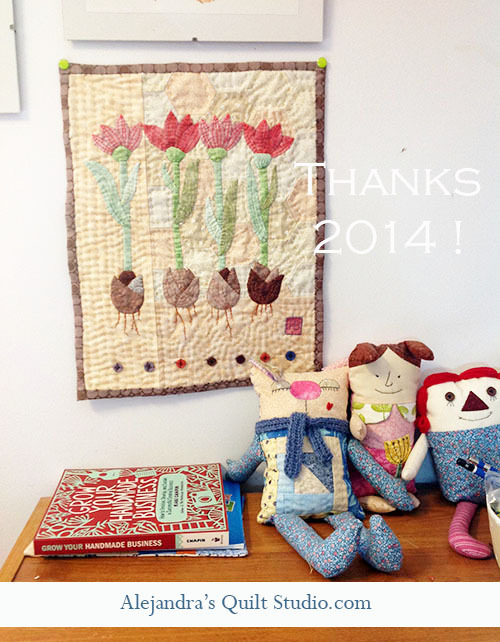 Christmas Quilts and Mini Quilts. 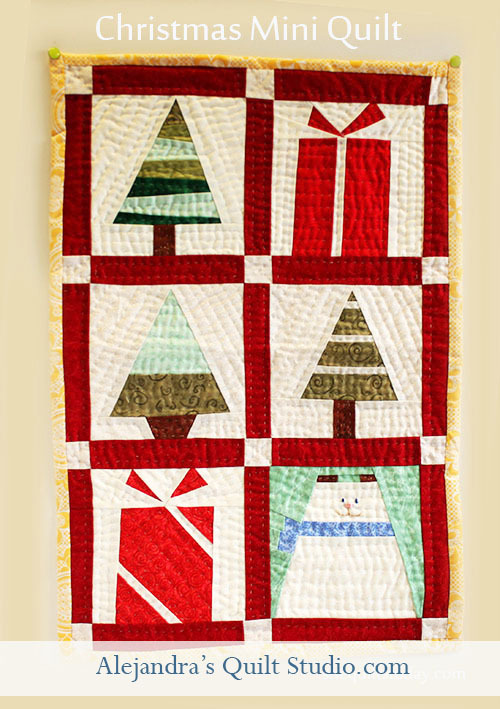 This Christmas quilt was made with six different block patterns, hand quilted. 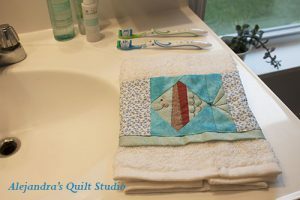 How to decorate a hands towel – Paper piecing pattern. 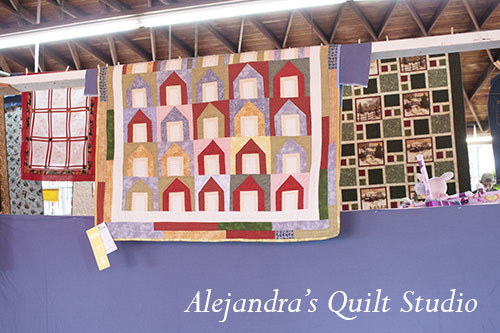 I thank you for making the time to visit my gallery of quilts, as I keep working on new quilts, please visit back soon, I’m sure I will have new pictures to share with you. 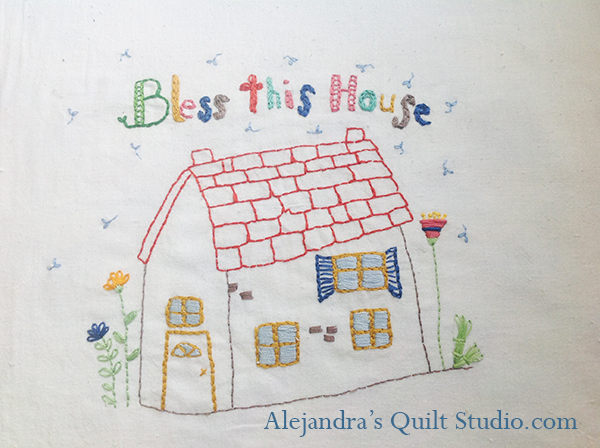 If you like my work I thank you for sharing it, and if you have a friend who likes to make quilts and embroideries, let her know about my website, I thank you for sharing it!.